Here in Georgia, as the thermometer keeps creeping into the high eighties and the sun continues to beat down on us, it’s obvious that summer isn’t over yet. We know that many cyclists are out taking advantage of the warm weather and blue skies that we have been experiencing. And whether you ride as a hobby, to work out, or to commute to work, you’ll likely opt to travel on two wheels well into autumn. Unfortunately, cyclists are typically exposed on the road and can suffer severe injuries when involved in a bicycle accident. That’s why it is important to do everything that you can to protect yourself when you are riding your bike. Wear a helmet: Cyclist under the age of 16 are required to wear a helmet in Georgia. Regardless of your age, it’s always a good idea to wear safety gear. Make sure that your helmet fits you properly and will offer reasonable protection in the event of an accident. The Governors Office of Highway Safety (GOHS) in Georgia offers a guide to choosing the right helmet and wearing it properly. Follow all traffic laws: Bicycles are legally classified as vehicles in Georgia. And while this means that you have the same legal rights as motorized vehicles, you also have the same responsibilities. Make sure that you obey all stop signs, yield signs, road markings, and traffic lights. Communicate your intention to turn or stop with either signal lights or the appropriate hand and arm motions. There are also several laws that apply specifically to cyclists, so make sure that you are aware of your responsibilities on the road. Be highly visible at night: In Georgia, you are required to attach a white light to the front of your bike that can be seen from 300 feet ahead if you choose to ride at night. If you do not have a red reflector on the back of your bike that is approved by the Department of Public Safety, you will also need to attach a red light on the back of your bike that can be seen from a distance of 300 feet to the rear. In addition to equipping these lights, you can make yourself more visible by wearing bright, reflective clothing when riding after dark. Inspect your bike for safety concerns: To start, make sure that you are riding a bike that is the appropriate size. If your bike is too big for you, it can be harder to control. Ensure that your tires are firm, have the proper tread, and are not worn or cut. Inspect your brakes, wheels, spokes, chain, pedals, and seat. Make sure that your handlebars are secure and straight, and that your frame is free from damage. Lastly, double check that your reflectors are clean and that your lights are working properly. 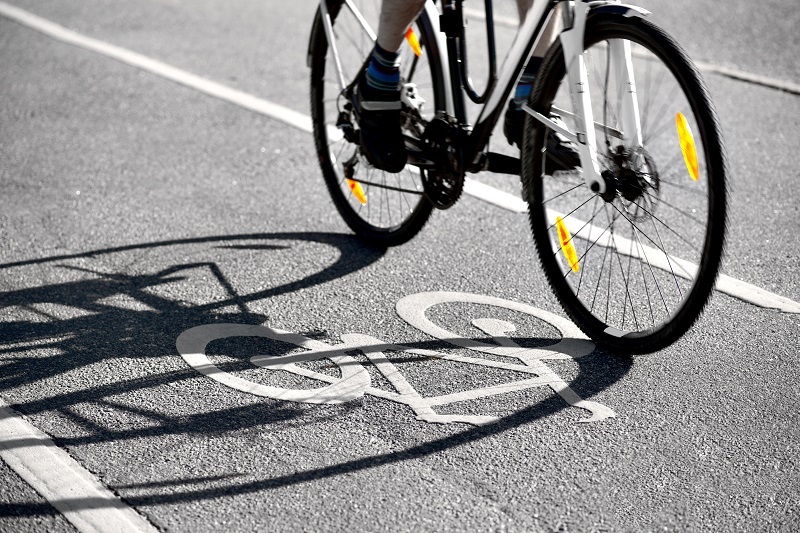 Unfortunately, you cannot always protect yourself from the negligent actions of a driver or pedestrian while cycling. If the unthinkable happens and you are injured in an accident, don’t hesitate to seek out a free case evaluation from our experienced attorneys. We know how to pursue the maximum compensation that you deserve for your injuries. And while the monetary recovery may help you take care of your mounting medical bills, physical therapy expenses, and lost wages, we know that you also want justice. We became lawyers to hold negligent parties responsible for their actions. Please contact us at 770-823-2711 for your complimentary case evaluation. At Williams & Williams Law Firm, we represent clients from Alpharetta, Atlanta, and nearby areas of Georgia.